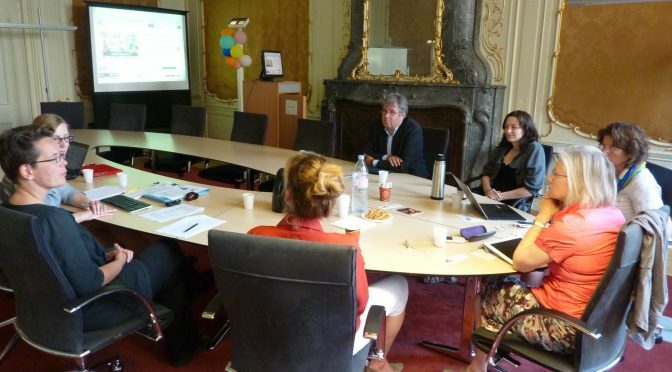 In July ’13, Berber Hagedoorn (UU) and Willemien Sanders (UU), with assistance from Vera Schoonbrood (UU Research Master student) hosted two focus groups and an in-depth interview to discuss improvements for the EUscreen portal and, more specifically, to refine user requirements. The aim was to get input from both researchers and students, who also contributed in their role as general user, on what would invite them to use the portal, and which additional functionalities, tools, and contextualization they would need to carry out research effectively. Researchers from the Department of Languages, Literature and Communication, the Department of History and Art History, and the Department of Media and Performance Studies within the faculty of the Humanities of Utrecht University participated in the first focus group. Speaking specifically from a researcher’s perspective, they discussed ways to better present, search, and link the content of the site. A second focus group included students from the Department of History and Art History, and the Department of Media and Performance Studies. Both in their roles as students and as ‘general users’ of the EUscreen portal, they discussed the use of the portal for their student work as well as ways to collaborate and share. The focus groups were followed up by a questionnaire, informed by the focus groups findings, which is aimed at assessing user requirements in a broader field of researchers and students/general users. The meetings in Utrecht are part of a series of activities aimed at contextualizing the content of the portal for various users. These activities are carried out by different EUscreenXL partners across different countries.